Gov. 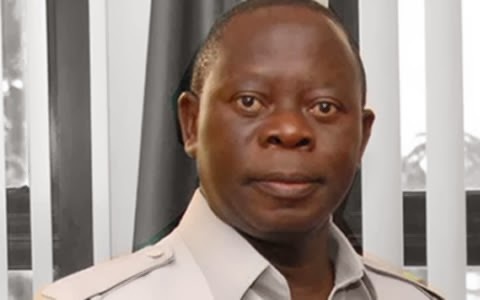 Adams Oshiomhole of Edo on Friday apologised for the comments he made to a widow in Benin during an inspection tour on Mission Road, in the state capital, a fortnight ago. Oshiomhole said that he now regretted the comments which had become the subject of discourse in the social media. The Governor, however, noted that he made the comments in anger. Oshiomhole’s apology was made when the leadership of the Federation of Muslim Women’s Association of Nigeria (FOMWAN), paid him a courtesy visit in Benin. He noted that though the challenge of modern times had bestowed on the shoulders of some women and single mothers the status of bread winners of their homes, such should not be used as an accuse to flout the laws. The Governor urged the Muslim women leaders to use their offices to propagate the essence of healthy living among children and women in the nation and the need to maintain proper sanitary conditions in their neighbourhoods. Oshiomhole lamented that the challenge of widowhood had also exposed children to different temptations, adding that there was the need for society to be careful, to avoid unwittingly creating more problems for the nation. He noted that money was not the best thing that guaranteed ones happiness, “but honesty and selfless service. The Governor added that if Muslims and Christians were adequately committed to their religious doctrines, the world would be a better place. He urged the women to propagate the message of Islam through the nooks and crannies of the nation, and to also inculcate the values of honesty in their followers. Oshiomhole, however, assured the association of government’s support in ensuring that its present leadership made remarkable progress and also consolidated on the successes of their predecessors. Earlier, the FOMWAN National President, Hajia Amina Omoti, urged the state government to look into the issue of the teaching of Islamic Religious Studies in public schools in the state. Omoti also solicited for government’s moral and financial support for the effective running of the association.